12 color pencils, 24 colors. Huh? Yep, that's right. 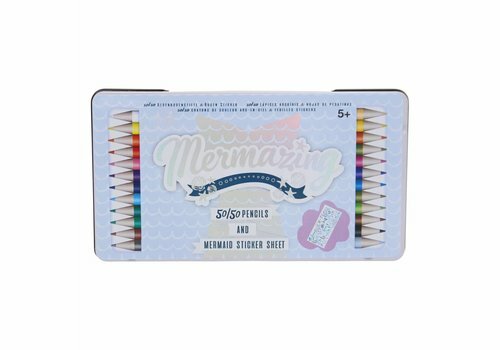 These 50/50 pencils have two colors per pencil. Cute! 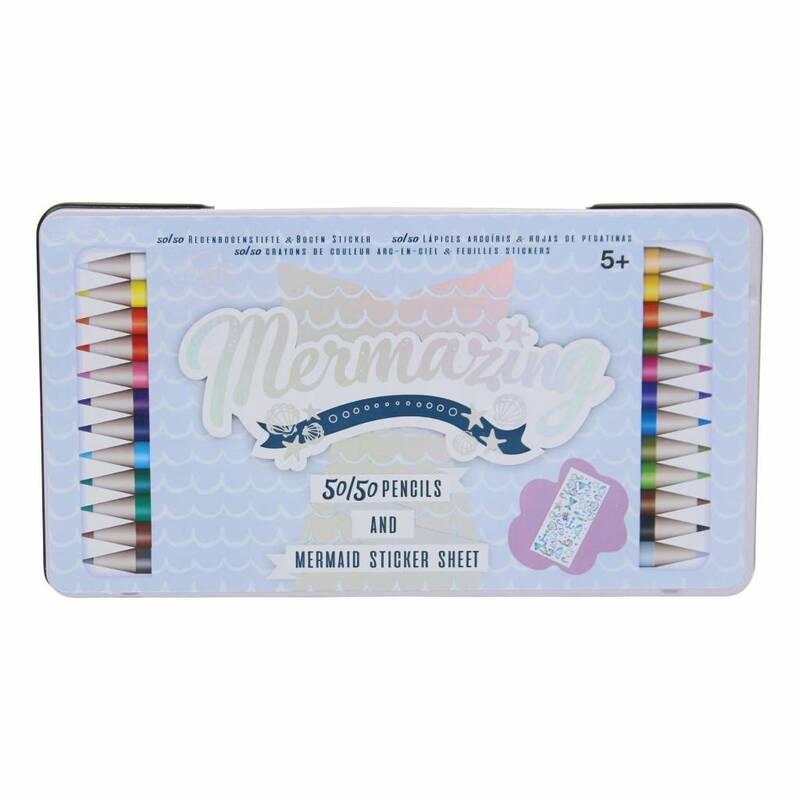 Not to mention the awesom mermaid stickers you get for free.